After a tense couple of weeks and 18 very competitive table tennis matches the 2019 Accelerator Table Tennis finals arrived yesterday! For the third year in a row the standard of play has once again blown us away and the support throughout the tournament from the community has also been amazing! With players from more than 15 startups within our community represented, this year has definitely been the most diverse and successful year so far. We’d like to say a massive thank you to all who entered, cheered or stepped in to play for colleagues who were unable to make it. 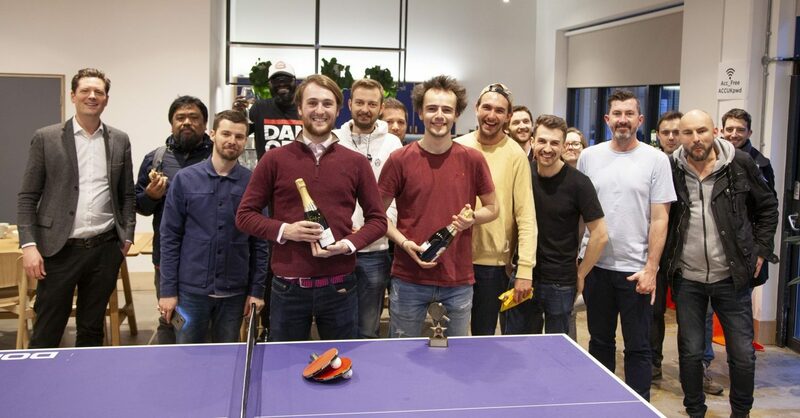 The four semi-finalists who made it through and playing for the very sought after Accelerator Table Tennis 2019 Champion title and trophy were Vincent Breton from HOKODO, Denis Stih from URBAN THINGS, Jarrod Hunt from PROXIMITY INSIGHT and Charlie Gibson from LUCIDICA. 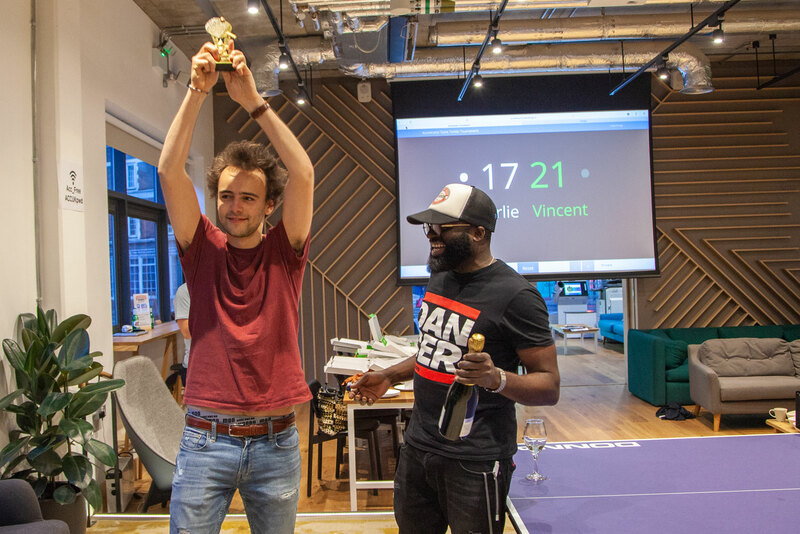 After an extremely close and competitive final match between Vincent and Charlie… we’re pleased to announce the Accelerator Table Tennis 2019 Champion went to Vincent Breton from HOKODO!